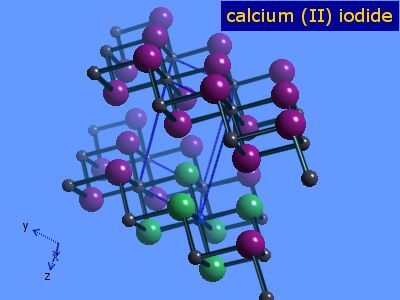 The oxidation number of calcium in calcium diiodide is 2. Small pure smaples of calcum iodide may be made through the reaction of calcium metal in liquid ammonia with ammonium iodide. The table shows element percentages for CaI2 (calcium diiodide). The chart below shows the calculated isotope pattern for the formula CaI2 with the most intense ion set to 100%.